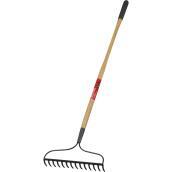 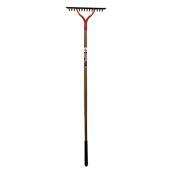 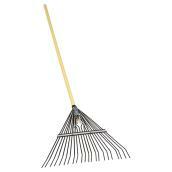 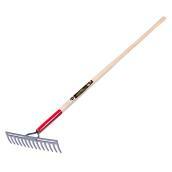 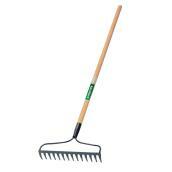 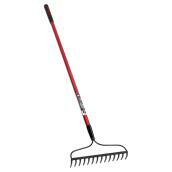 Home / Products / Outdoor / Gardening Tools / Rakes / Shrub Rake - Aluminum - 15 Tines - 28 1/2"
Article #01235647 Item #000403666 Model #GSR15MS Format 28.5"
Make it easy to rake between shrubs, around fences and in other tighter spaces with this Garant shrub rake. 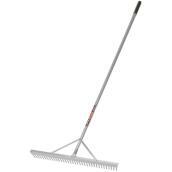 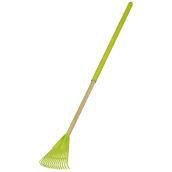 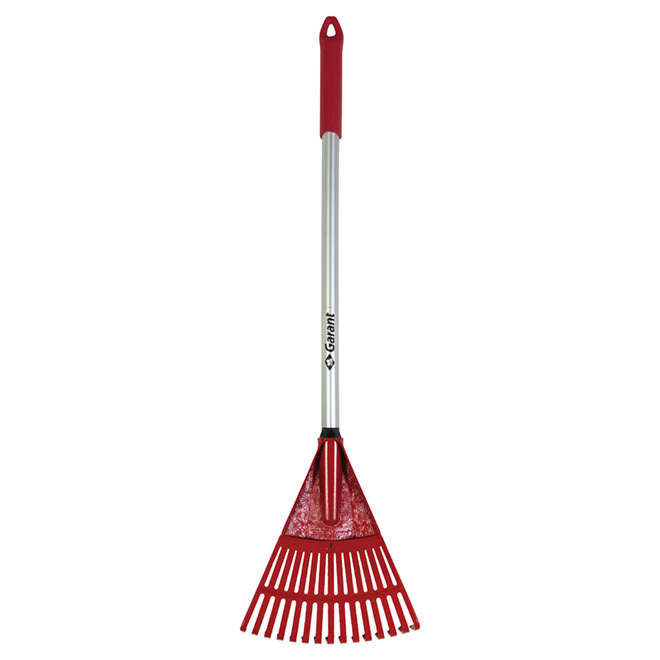 It features a shorter aluminum handle and a fan head that has 15 tines to bring you lightweight, easy-to-use performance. 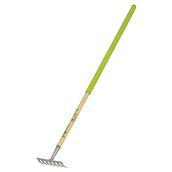 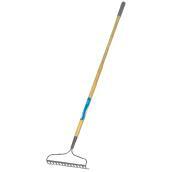 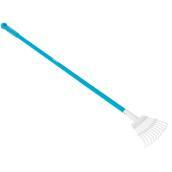 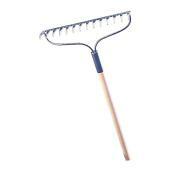 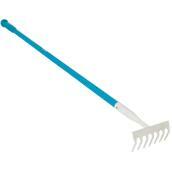 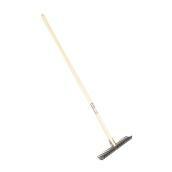 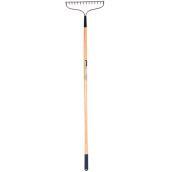 The shrub rake has an anti-slip grip for comfort and control, and a hole at the end that lets you hang it up out of the way when it's not being used.